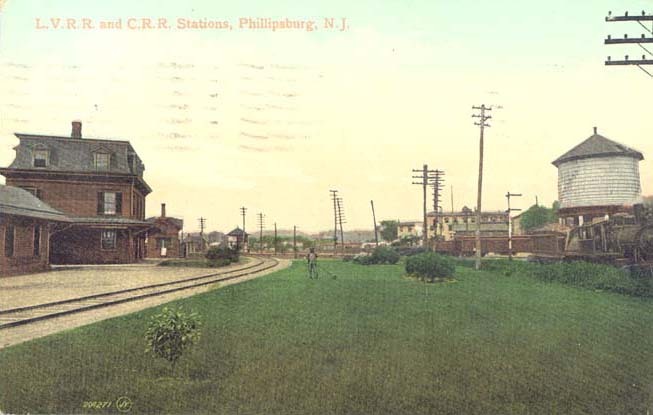 Connection with Central Railroad of New Jersey and Lehigh Valley Railroad. 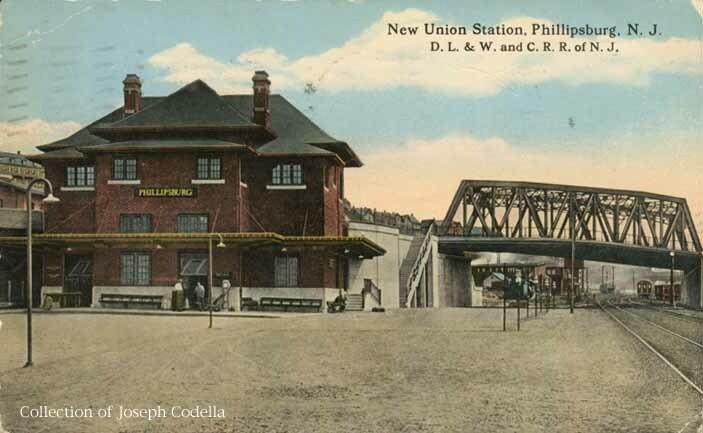 Shared passenger station with C.N.J. 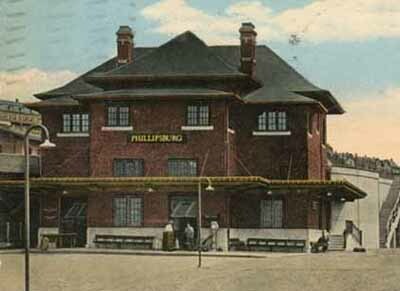 New station 1913-14. 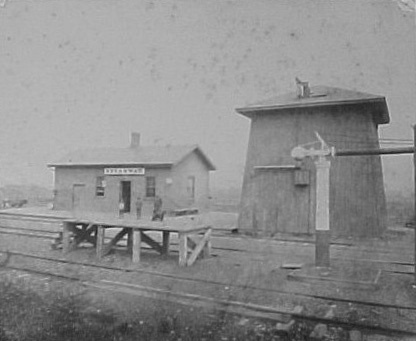 New freight station with agent 1905. Fourteen stall roundhouse with 54' turntable rebuilt in 1907-10 to only 5 stalls, 70'. Eight ton yard crane, track scales, water tank. 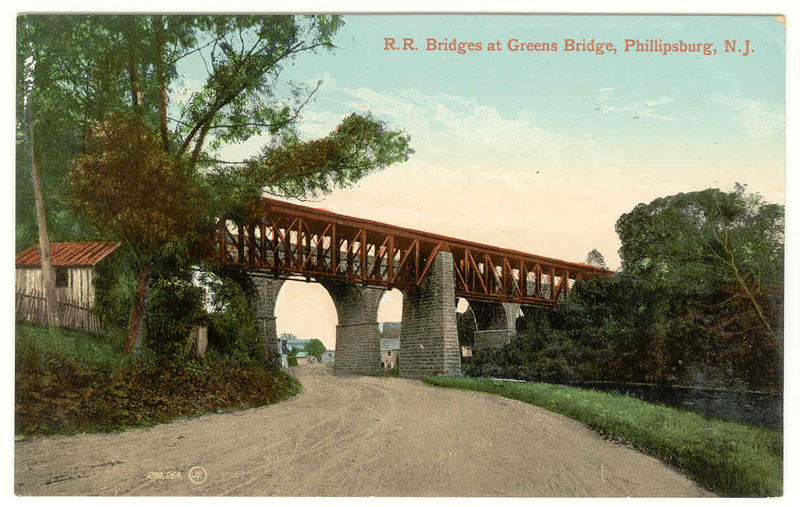 Second track from Washington to Phillipsburg removed 1901. Passenger service discontinued June 1941. Switch engine kept here until late 1950s. 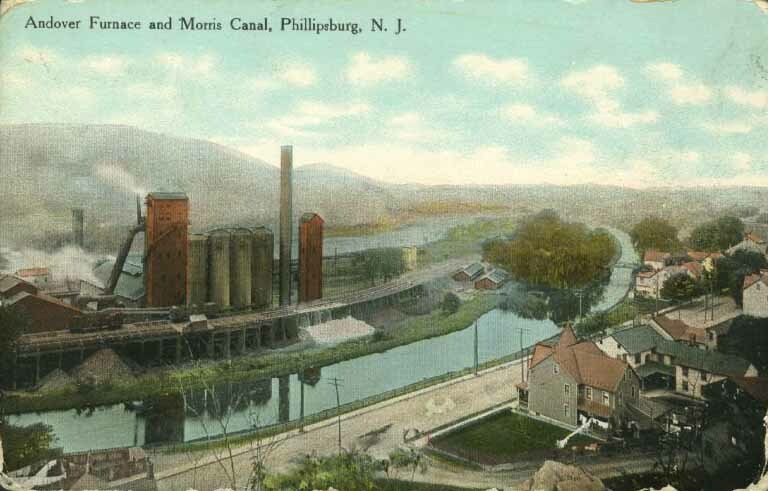 Ingersol Rand C. had huge plant, coal and lumber company. Freight station torn down 1977. 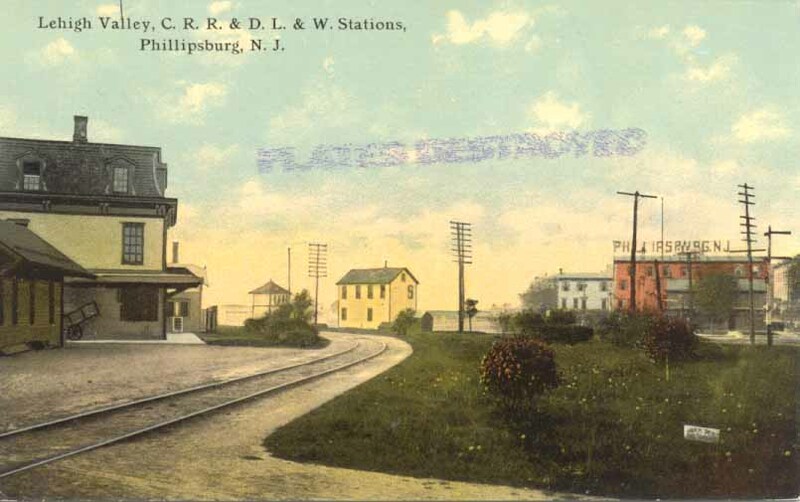 This is a shot of Broadway showing the small station and water tank from 1900. 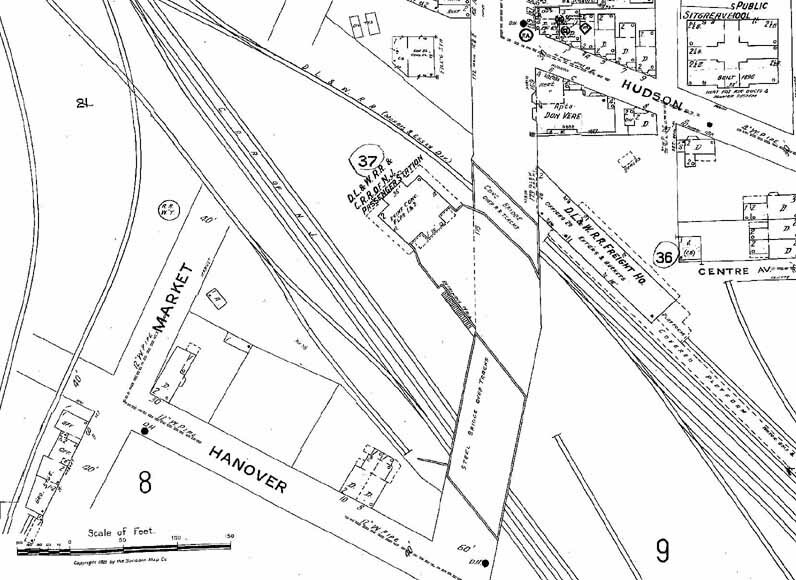 And here's the only image I know of showing the Stewartsville Station.